Myanmar’s economy has taken a beating in recent quarters, with a rising number of companies reporting tougher business conditions and a slowdown in market demand. One of the main reasons is the rising foreign exchange rate. Despite a slew of measures taken by the Central Bank, which included pumping millions of dollars from its reserves into the economy and a removal of the +/- 0.8pc exchange rate trading brand in August, the dollar has risen by around 10 percent against the Myanmar kyat since May. That has affected businesses and households across the country, a major importer of goods like petrol, food, cosmetics, electronics and building materials. According to a recent survey by the Union of Myanmar Federation Chamber of Commerce and Industry (UMFCCI), the key challenge for the economy in the second quarter was mainly volatile exchange rates. Meanwhile, the perpetuation of protectionist policies and stalling of reforms have undermined investor interest. Liberalisation of the insurance market is again delayed, keeping out foreign insurers which have opened representative offices in Yangon. Foreign banks remain virtual outsiders in retail banking. The country’s electricity price, commercially unsustainable and with rates being the lowest in ASEAN, remains unchanged despite years of deliberation. Other issues continue to plague the economy. Chief among those is high taxation rates at a time of rising costs and illicit trade. Lending rates remain prohibitively high at 10pc-13pc, while access to trade financing facilities is limited. In a September-21 report, Fitch Solutions Macro Research warned that foreign direct investments (FDI) could take a hit after the UN released its report detailing human rights violations by the Tatmadaw in Rakhine, Kachin, and Shan states. Despite the lack of access to financing, the banking sector is expected to expand, led by improvements in digital banking infrastructure enabling card payments, e-banking and more recently, mobile wallets. As a result, the number of bank account holders has been on the rise. “The banking sector will improve dramatically in 2019 as a result of the increase in the number of users,” said U Than Lwin, advisor to KBZ Bank and former deputy governor of the Central Bank of Myanmar (CBM). “As more bank accounts are opened, there is a noticeable improvement in the number of bank transfers and payments,” he said. Among the 24 local banks, those offering ATM services has risen to 11. Meanwhile, Myanmar Apex Bank, KBZ Bank, CB Bank, United Amara Bank, Yoma Bank and Ayeyarwady Bank are now trying to provide additional mobile banking and payments services. The extent of the sector’s growth will depend on the economy though. “If the domestic economy continues to decline, utilisation of banking services will be affected,” U Than Lwin explained. The Myanmar economy is expected to expand by 7.6pc in 2018-19, according to the National Planning Bill signed by President U Win Myint on September 21. With oil and gas reserves at Myanmar’s offshore blocks now approved for commercial activities, FDI in the sector is likely to increase in the coming year, said U Thaung Tun, chair of Myanmar Investment Commission (MIC) at the Pyidaungsu Hluttaw meeting in August. In 2017-18, FDI decreased to US$900 million due to a lack of investments in the oil and gas sector. This year though, around 20 oil majors including PTTEP, ENI, Daewoo and Woodside will commence seismic surveys and exploratory drilling in more than 20 onshore and offshore blocks. Among the offshore oil and gas exploration projects, Yadana, Shwe, Zawtika and Yetagun are now in progress. From these fields, a further two new potential blocks have been discovered, according to state-owned Myanma Oil and Gas Enterprise. On September 22, the Shwe Yee Htun-2, an appraisal well at the offshore block A-6 was found to be able to produce natural gas, according to the Ministry of Electricity and Energy. The ministry will also invite international tenders for up to 31 oil and gas exploration fields in early 2019. Retail holds promising prospects after the Ministry of Commerce authorised full foreign investments in the sector via Notification 25/2018 in May. Wholesalers and retailers from Japan, Thailand and South Korea are already actively seeking opportunities here. These include Japanese retailer Aeon Co, which already runs a supermarket in South Okkalapa, Yangon under a local JV. But growth in retail isn’t just limited to Yangon. Investors are also looking for opportunities to expand into Mandalay, Magway, Taunggyi in the southern part of Shan State as well as in other regions. Then, there is also the fast expanding e-commerce market for which the government and local businesses are trying to develop infrastructure and rules and regulations. “We are latecomers to this market but there is still a lot of room for growth. 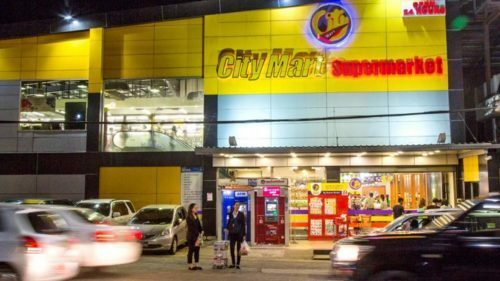 The retail sector will continue to develop in the years ahead,” U Myo Min Aung, vice chair of communications and member affairs at the Myanmar Retail Association, said. As a result, demand for shopping malls of 50,000 square metres and above are rising in demand, according to Colliers International Myanmar. Notably, interest in condominium projects featuring retail options has also been on the rise.